AMEX as we all know is a great rewards card to have but often it seems quite a challenge to find any stores that would accept the card! However, I thought of an idea today. I was wondering around a Westfield shopping centre when I noticed that you can buy gift cards that can be used at Westfield shopping centres using an AMEX card. 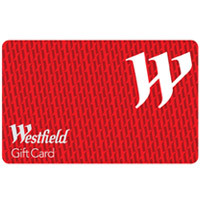 I asked how much you need to pay as a fee for each card and the cost was $1.95 for the traditional Westfield gift cards and you can load up to $995 on each card. That means you can use your AMEX card to buy a $995 gift card which will cost you an extra $1.95 which is only 0.2% of the total value of the card. Using this gift card, you can then buy from any specialty stores except for certain stores such as Myers and Kmart. These stores accept AMEX anyway sot that's not a problem. Obviously this tip is for those who do not mind "pre-paying" $995 worth of credit but this is also a good way to earn the FF points that you may need to make your next trip. So what do you think?